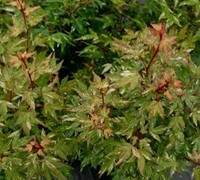 At GardenerDirect.com we sell quality flowers, shrubs, trees, and various other unique and rare plants in a Grower to Garden model. This means that the plant comes straight from the original grower to your door. By cutting out the middleman, we are able to deliver a superior quality, healthier plant to you, reduce waste and emissions, all while passing the costs savings to you. Shop our wide selection online today. Yes we offer the highest quality, nursery grade live plants and garden supplies on the market but we are also more! At GardenerDirect.com our mission is to provide the gardener with the best and newest plants on the market at great prices along with helpful plant information and gardening resources so you can not only get what you want but know about what you are getting. GardenerDirect.com is a one stop garden shop and community – Ask questions, read articles on your favorite plants, and of course buy the plants you love! Our mission is to provide you with accurate information and healthy plants straight to your door. GardenerDirect.com sells only the highest quality live plants, NO BARE ROOT, and uses top of the line packing materials and procedures to ensure your plants arrive safe, healthy and thriving. At GardenerDirect.com the customer is number one, so if you have any questions please contact us anytime – we love hearing from our customers!